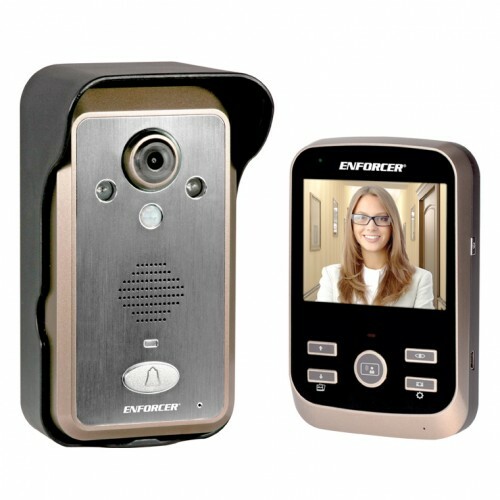 Introducing the ENFORCER® Wireless Video Door Phone, the handheld home entry solution. Observe visitors on the large 33/8" screen as they arrive, communicate with them, take photos for later viewing, and unlock a gate to grant entry - all from the wireless monitor. Use up to three monitors for viewing anywhere in the home. And with the camera's wide 170º viewing angle, you don't have to compromise on convenience or security.